Let's travel the world! 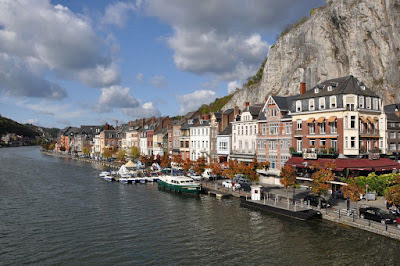 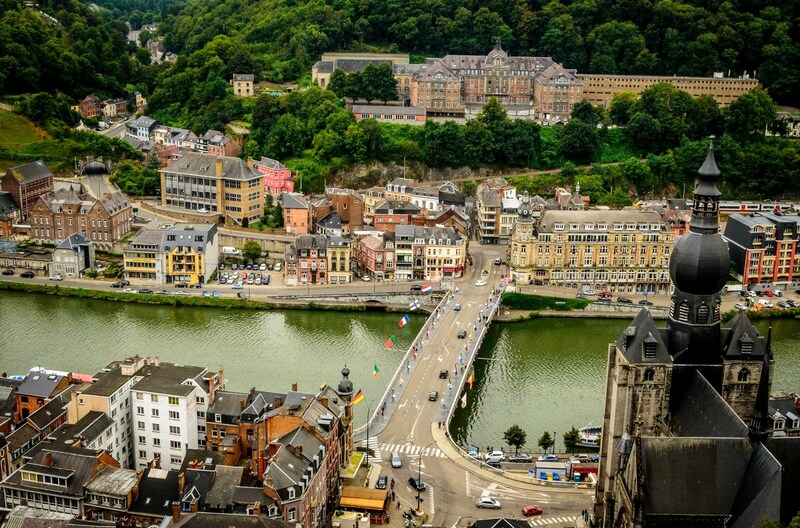 : Dinant, Belgium! 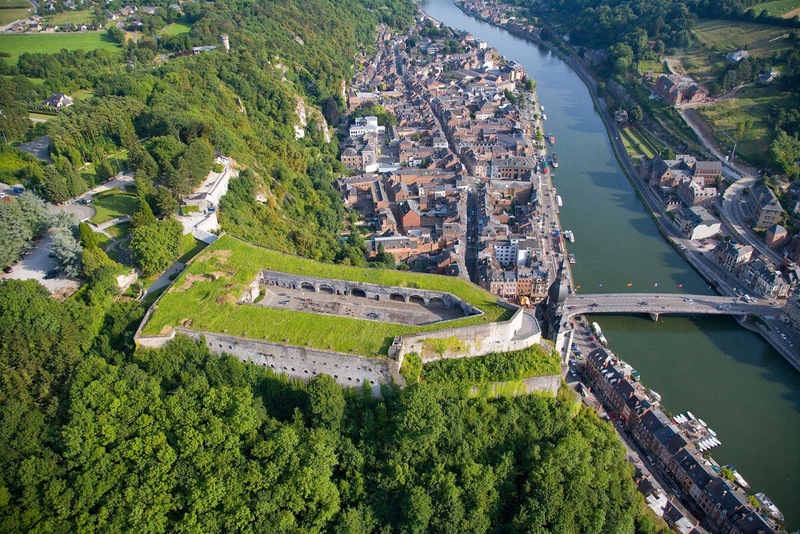 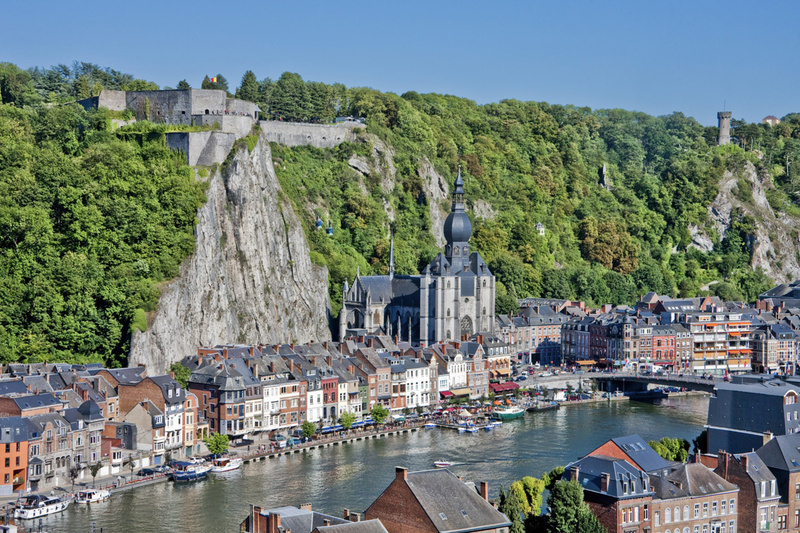 Further along the Meuse is the city of Dinant, with its imposing citadel and iconic onion-domed cathedral. 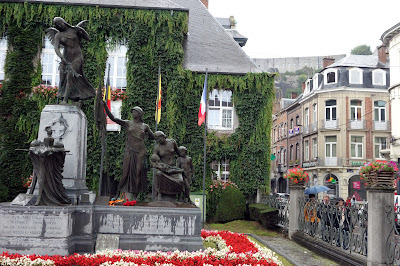 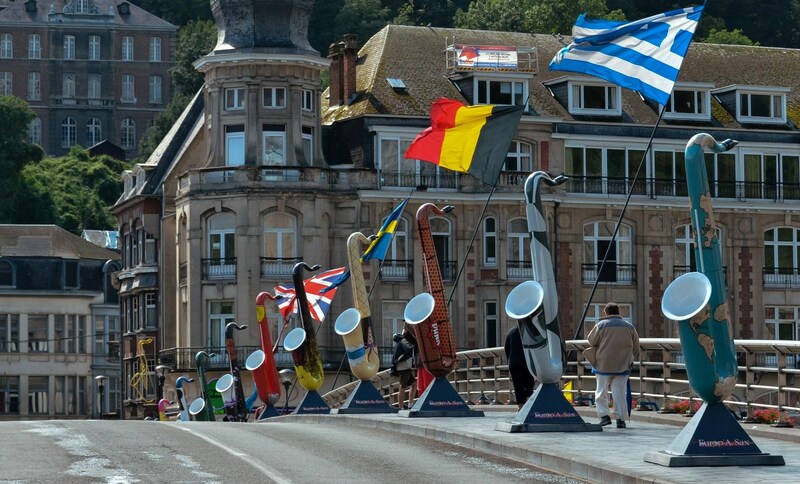 Dinant is the birthplace of Adolphe Sax, inventor of the saxophone, and you’ll see statues of the instrument dotted around the city. 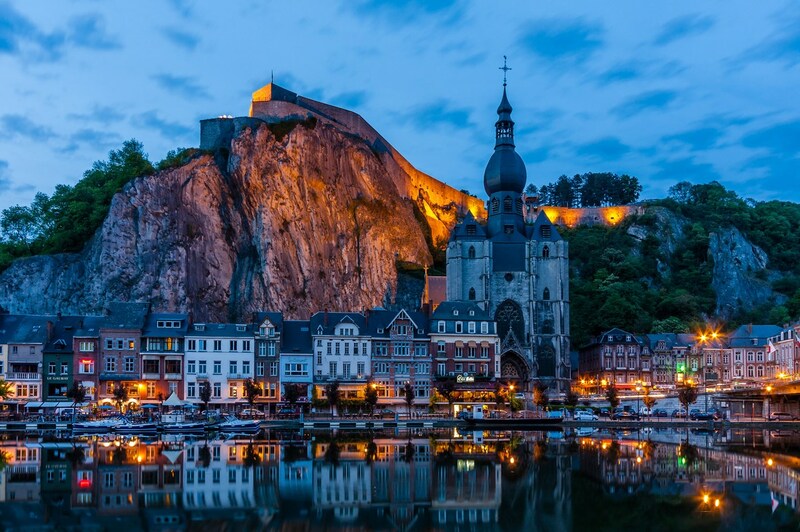 Dinant is also home to a couple of unusual culinary traditions, the couque de Dinant and the Flamiche, as well as some excellent restaurants. Not far from Dinant, you’ll find one of Wallonia’s most iconic castles, the chateau of Freÿr. 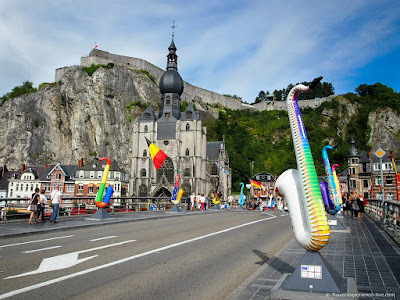 Dinant is a Walloon city and municipality located on the River Meuse in the Belgian province of Namur. 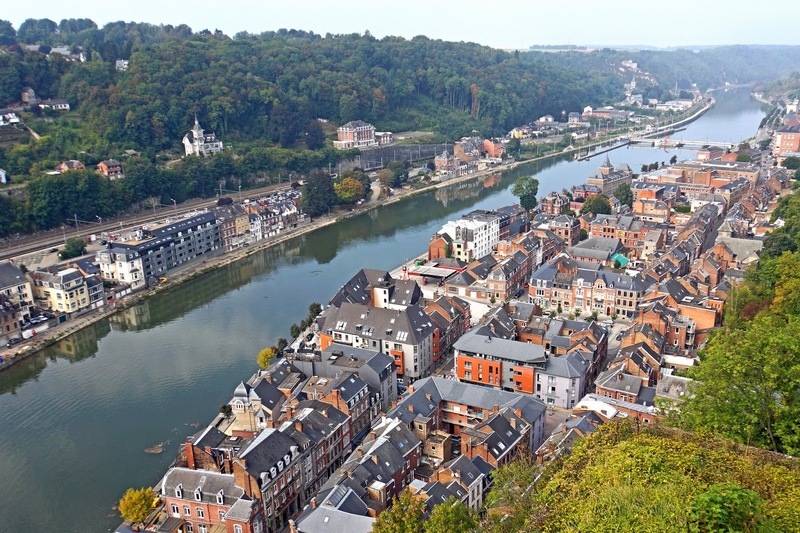 It is around 90 km south-east of Brussels, 30 km south-east of Charleroi, 30 km south of Namur and 20 km north of Givet (France). 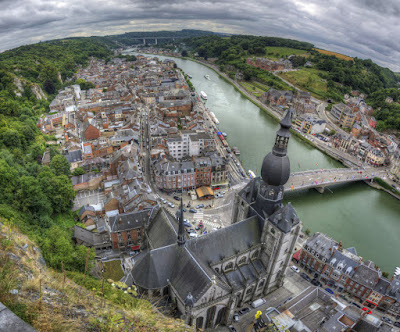 The city's landmark is the Collegiate Church of Notre Dame de Dinant. It was rebuilt in Gothic style on its old foundations after falling rocks from the adjacent cliff partially destroyed the former Romanesque style church in 1227. 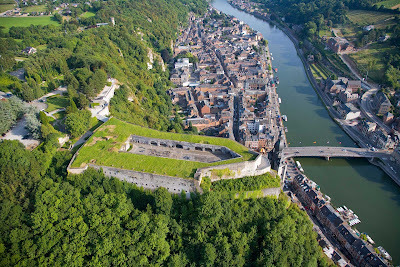 Above the church rises the vertical flank of the rocher surmounted by the fortified Citadel that was first built in the 11th century to control the Meuse valley. 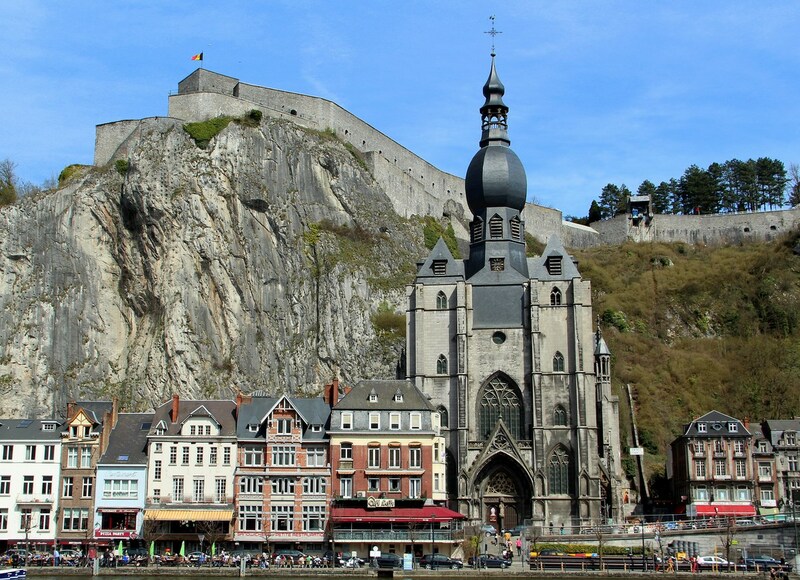 A cable car is available during the high season to take visitors from the Collegiate Church of Notre-Dame to the top of the Citadel. 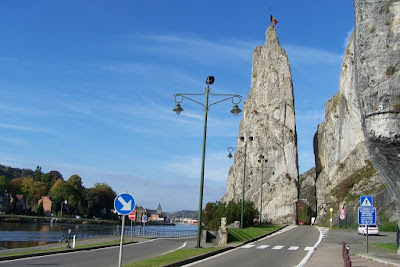 Apart from the main block is the Rocher Bayard that was said to have been split by giant hoof of Bayard, the giant horse carrying the four sons of Aymon on their legendary flight from Charlemagne through the Ardennes, told in Les Quatre Fils Aymon, a famous 12th-century chanson de geste. The house of Adolphe Sax, inventor of the saxophone located in the street of the same name. 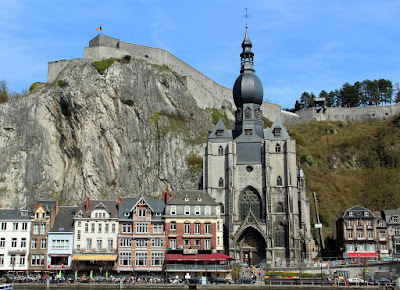 Collegiate Cathedral of Dinant and the citadel in the backdrop. 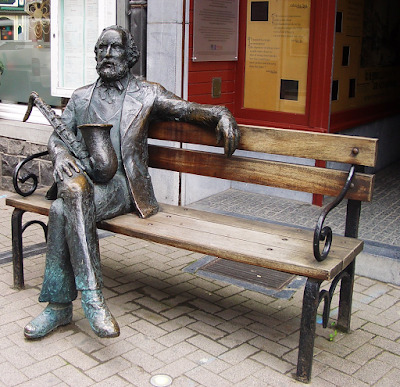 Adolphe Sax statue, Dinant, Belgium. 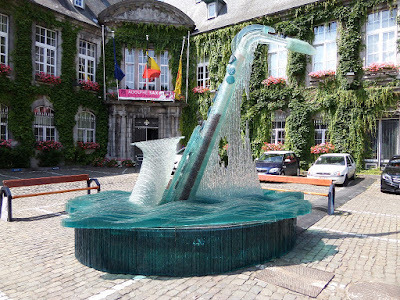 Saxophone fountain in Dinant, Belgium. Dinant & River Meuse, Belgium. 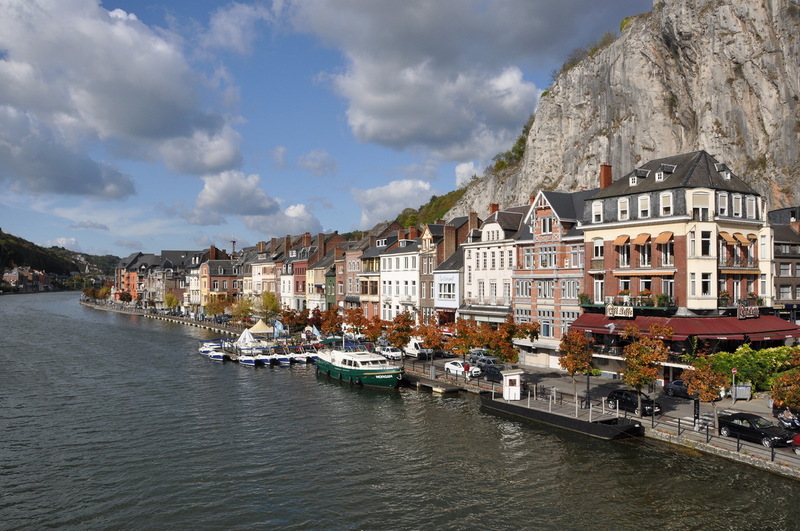 Dinant's railway station is on the left bank of the river. 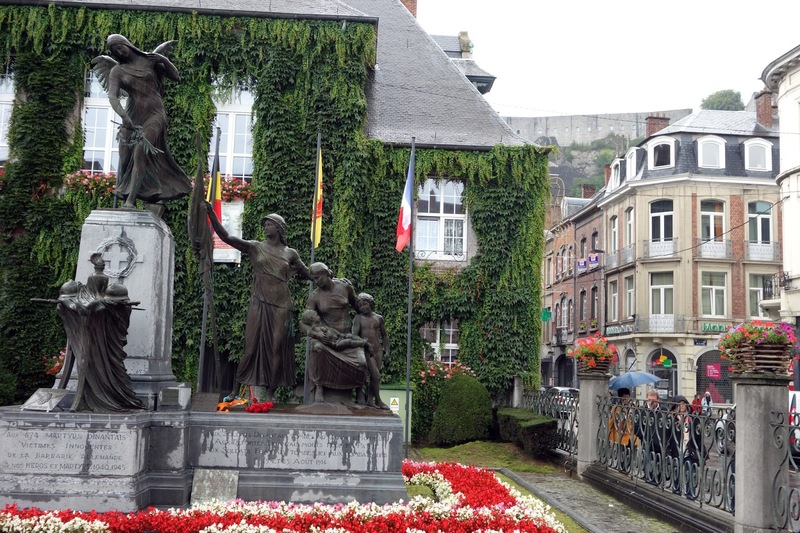 There is hourly train service to Brussels with only 90 min train ride or just over an hour's drive from Brussels.